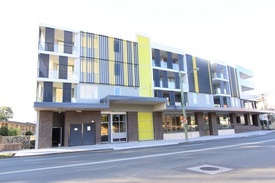 5 Commercial Real Estate & Properties in Ashfield are listed in 2 categories. We have 3 OfficesSale & Lease and 2 Retail ShopsSale & Lease . Open plan floor plate offering variety of business uses 100m from train station, Ashfield mall, and diverse Liverpool Road cafe/retail strip Partitioned offices plus ample large space ideal to subdivide Excellent natural light with basic renovations needed STCA ideal for accommodation, backpackers or personal services All dimensions and figures are approximate. Unless stated, all prices quoted are exclusive of GST.